This mod works great! 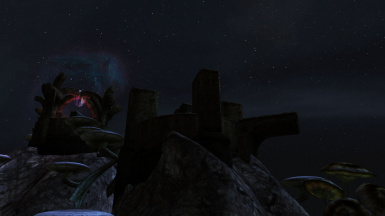 I had tested it before, but I just finished testing it again as I am going through all my downloaded mods. Everything worked perfectly. The weapons and the shield look very nice and I liked the floating chests. Thanks for sharing this with the MW community! That's great to hear! I'm glad you enjoyed the mod. I've been learning how to make weapons in 3D Studio for Morrowind. I've created versions of Cloud's swords from Final Fantasy 7, all 16 of them. 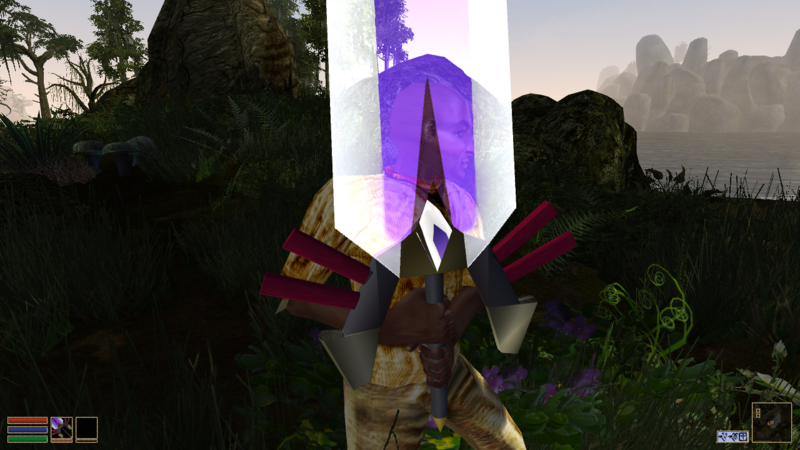 Apart from figuring out how to make a semi-tranparent texture for the Ultima Weapon, I'm pretty happy with the results. Next I would like to figure out how to make weapons like the spears and staffs which have slightly more complicated requirements. It seems to involve rigging/bones/movement which I'm unfamiliar with. I don't come from a game development background, I'm learning this as I go from whatever tutorials I find and trial & error. I'm hoping that you can explain how to set up the rigging or whatever that is required for the spear, bow, and staff weapon types. 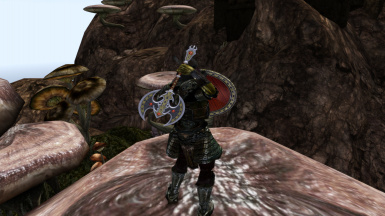 Or perhaps you know of a tutorial which specifically explains using 3D Studio for these types of weapons in Morrowind. 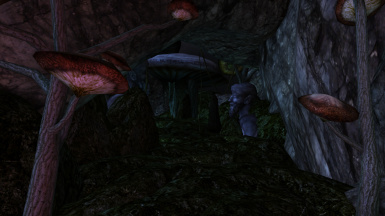 I've seen some general tutorials for this sort of thing, but I'd much prefer one with Morrowind modeling in mind. 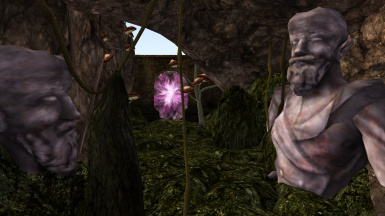 Hi mythra, that is great that you're getting into modeling for Morrowind! Unless you want to do some type of special animation for them, spears and staffs do not require extra animation. It is all handled by the character animation and those weapons are just props like a sword. Bows and crossbows obviously do require some animation. Unfortunately, I have not yet learned how to animate them. 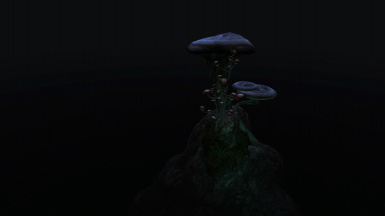 Although I believe it would not be that difficult to do in Blender (I have never used 3D Studio). 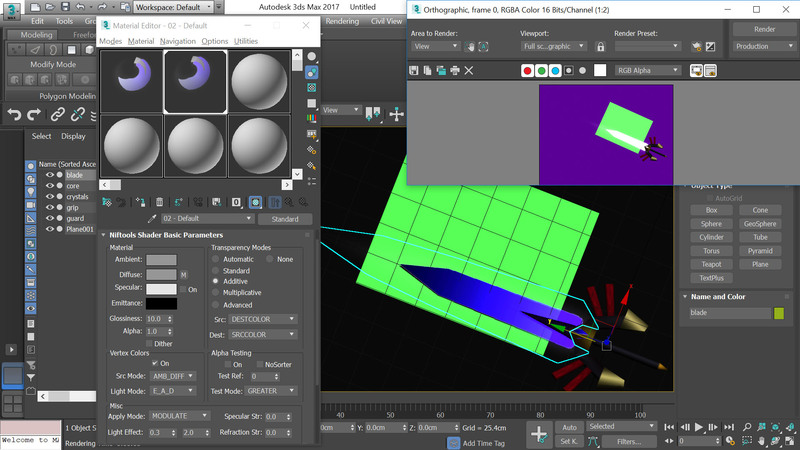 I think that Flash3113 here on Nexus uses Blender to animate his weapons (he has worked with bows before). He might be a good starting point if you would like to learn! I really appreciate your quick reply. Thanks for that information. I wonder if you can help me figure out how I'm adding a semi-transparent texture incorrectly. I'm trying to make part of this sword blade opaque and part semi-transparent, but it comes out as all semi-transparent to varying degrees. I'm not sure if you can readily see what I'm doing wrong here, I understand that 3D Studio isn't your program of choice, but maybe you're familiar with this particular problem/result. Hi mythra, it's probably not something wrong with your textures. After you export to NIF, and you open the model in NifSkope, you can right-click on the NiTexturingProperty in the Block List panel and add a Decal 0 and link your opacity map there. I think that should work. I am not sure how to do it in 3DS. But. 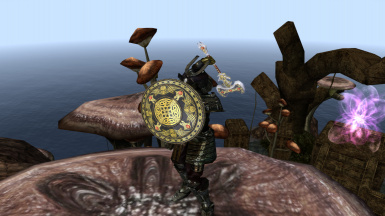 If you want direct, 3DS help, there is a Russian modder named EJ-12 on the Morrowind Modding Discord who is proficient with 3DS and modding MW with it. Thank you MelchiorDahrk, I will continue to figure out how to do this stuff. I'm unfamiliar with using Discord, but I can learn that as well. Looks great and works flawlessly now. has this mod crashed on anyone else who installed it? It crashes me if I try to equip any of the pieces while on the island. Outside of the mod cell, it lets me equip them without crashing though. It then throws a texture error at me when I equip or drop them. The glow looks kinda off on most of the pieces as well. Load order is just mgso, sorted with mlox. Yes, apologies for that. 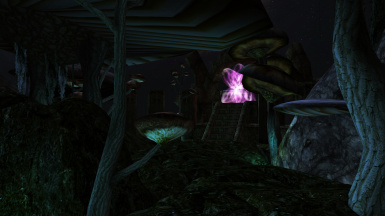 I changed the file name on the environment map, but forgot to include the updated texture in the archive. Download again and let me know if you are still experiencing crashes.